Kendall Sorb-It Drain and I.V. 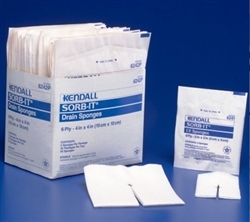 Sponges have a pre-cut notch that conforms well around drains, catheters, chest tubes, I.V. 's and tracheostomies. 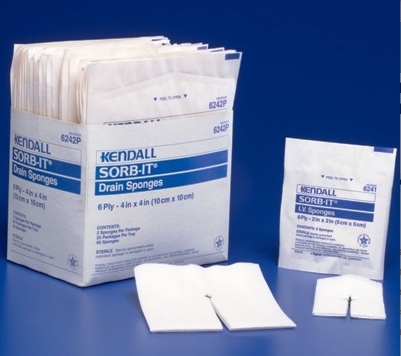 They are sterile and virtually lint-free to minimize risk of wound contamination. These are a lower priced alternative to Kendall Excilon Drain Sponges.